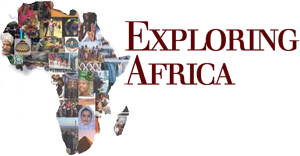 The purpose of this module is to provide students with the opportunity to study in depth one country in contemporary Africa. This module will provide students with learning activities that will enhance their general knowledge and understanding of the history, geography, societies and cultures of Kenya. What kinds of geological features (landforms, climates, vegetation) does Kenya have and how does this impact the country’s people and economy? What is the history of this region and how did it come to be the modern day country of Kenya? How do different things (sports, technology) link members of a country, specifically Kenya, together? Throughout this module, numerous photographs will be used. It is important to remember that these photographs do not fully represent the “way things are” in Kenya. For example, photographs of different houses in Kenya represent actual houses, but cannot be seen as the only type of housing found across the entire country. Such photographs are just one among many possible representations. Photos are used in this module to help illustrate the geography and history of Kenya, and social, political and economic activities and practices of the country today. They do not represent a uniform way in which Kenyans engage in these activities.